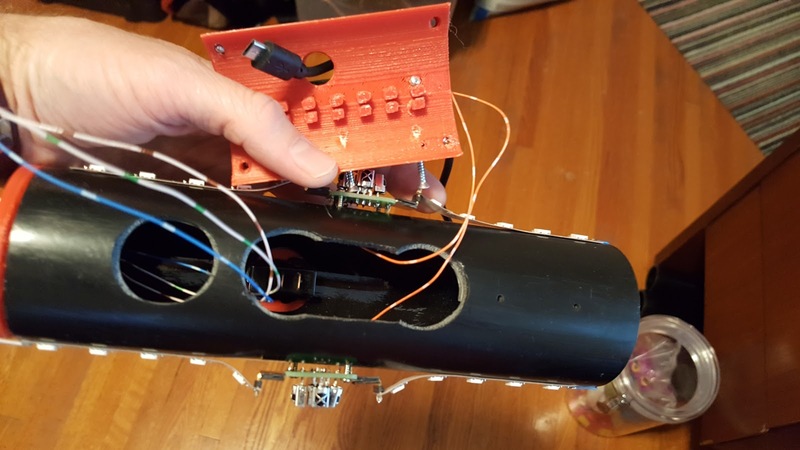 The trigger switch was installed and while wires were being connected, it became apparent that the trigger and controller board would not fit together inside the pipe. Bummer. Parts from the short tagger were moved to a regular-sized tagger. A different switch plate was used since the new tagger was drilled with a small hole. The print was snug so the switch had to be twisted into place. Perhaps the goal should have been to make the adapter as a threaded nut instead of a plate which could be glued. 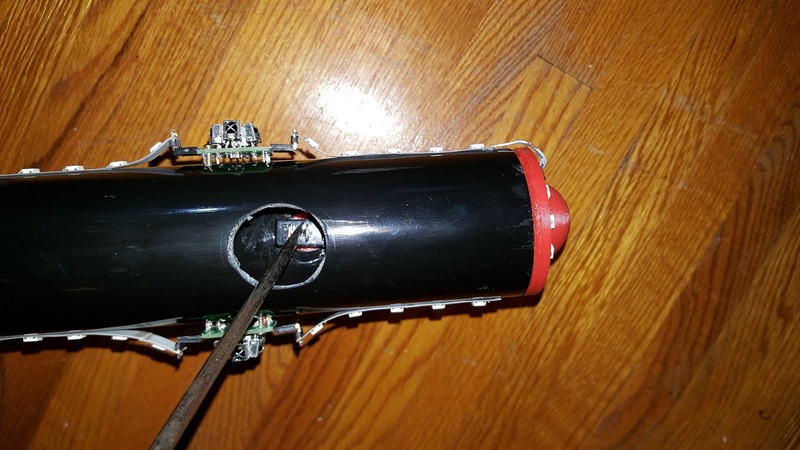 A screwdriver was used to try to press the switch into place but it was not effective. The evening was spent creating a wrench (spanner) which could properly install the switch by twisting it. 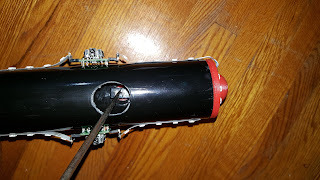 The majority of the device is a long handle with grips while the bottom should surround the switch snugly and allow it to be turned from outside the pipe. 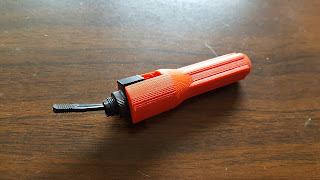 A print of the switch wrench was printed. It was printed on it side so the printer filament strands would reach from the handle to the tool. For a good explanation, watch this video by Christoph Laimer.